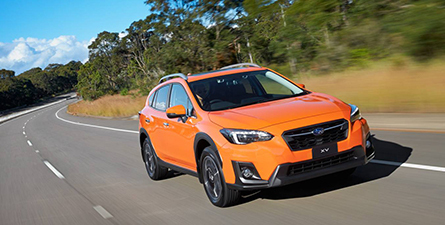 The Subaru XV, as a standalone model, arrived in Australia in 2012 and while it’s a lot like its Impreza sibling, some key differences make the XV one of the most capable compact SUVs on the market. Before 2012, the XV (also known as Crosstrek in some markets) was essentially a sticker-pack version of the Impreza hatchback. 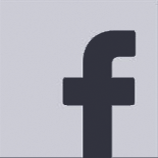 There are four variants in the Subaru XV range, the entry-level XV 2.0i (from $28,280+ORC), XV 2.0i-L (from $30,640+ORC), XV 2.0i Premium (from $32,440+ORC), and the 2.0i-S (from $35,240+ORC). All Subaru models are covered by a five-year unlimited kilometre warranty. For the entry model, Subaru offers a cloth interior with a smaller 6.5-inch infotainment screen offering Apple and Android connectivity. It rides on 17-inch alloys and has permanent all-wheel drive but misses out on Subaru’s EyeSight active safety system. To get that, you need to look at the 2.0i-L which also adds an 8.0-inch infotainment screen, dual-zone climate control, and a lane-keep assist function to EyeSight. Stepping up to the 2.0i Premium, you get an electric sunroof and factory sat-nav by TomTom. The top-spec 2.0i-S gets everything, from a leather interior, heated front seats, rain-sensing wipers and automatic headlights with high-beam assist, steering-responsive headlights, and Vision Assist for its EyeSight functionality which adds Blind Spot Monitoring, Lane Change Assist, and Rear Cross Traffic Alert with Reverse Automatic Braking. 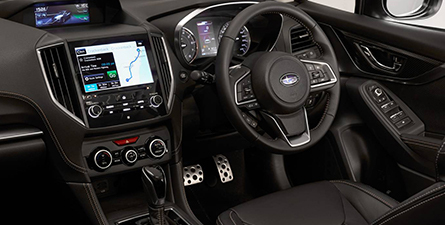 The XV’s interior is, much like its sibling, the Impreza, functional and comfortable with the key difference between the two being the contrast stitching on the XV’s dashboard and seats, and the inclusion of Subaru’s clever X-Mode and hill descent control switchgear. There’s good storage around the cabin and the materials used feel nice to the touch, with precious little hard, scratchy plastic used, and build quality is high. The dashboard’s layout is simple yet effective with all buttons and switchgear easy to access and use while driving. 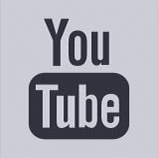 The infotainment screen offers Apple CarPlay and Android Auto connectivity, with top-spec models offering native sat-nav via TomTom with three-years-worth of map updates. What’s the passenger space like? Being built on Subaru’s new Global Platform, which also sits under the Impreza and Forester, the XV offers more room than the old car, and that’s noticeable whether you’re in the front or the back. The front seats are nice and comfortable with good support, adjustability and vision all around. The back seats will suit two adults with good foot, leg and headroom. The middle seat is more of a perch and so should only be used by an adult in a pinch. For transporting kids, there are ISOFIX mounts on the two outboard seats and top tether anchors for all three seating positions. Offering 310 litres of storage space, the XV’s boot isn’t huge but it’s a nice square shape meaning every bit of space can be used. If you fold down the back seats (60:40 split fold) then boot space grows to 765 litres. There’s a speed- and distance-limited temporary spare beneath the boot floor. There’s only one engine available for the XV in Australia, and that is a 2.0-litre four-cylinder petrol engine making 115kW at 6,000rpm and 196Nm of torque at 4,000rpm. And there’s only one transmission too, a CVT. Power gets to the ground via permanent all-wheel drive. 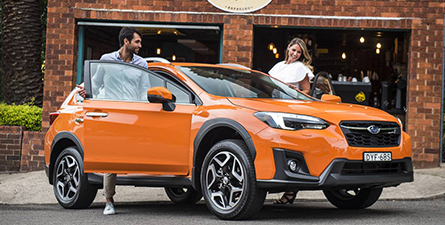 Thanks to Subaru Australia’s ride and handling program, the Subaru XV we get in Australia rides and handles better than it does in any other market; our cars are a little firmer and quicker steering. Indeed, the way the XV handles corrugated roads, changes in direction on both bitumen and dirt, dials in the driver to the car’s doings but insulates the cabin from road and wind noise really is benchmark-setting stuff. The steering too is nice and meaty with good on-centre feel and stability. The brakes are progressive and feelsome in their action and the transmission is both quiet and adept at making the most of the power and torque available to it. 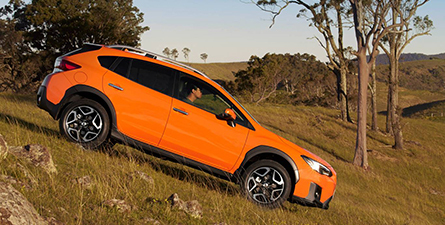 This latest generation XV gets Subaru’s clever X-Mode system which works at speeds up to 40km/h and helps the XV drive up and over obstacles and terrain you wouldn’t have thought possible. Beyond, tweaking throttle control (it makes it softer to stop you from over-revving when bumping around off-road), the system speeds up the lock-up between the front and rear axles by 25% to reduce the chance of wheelspin and speeds up the brake traction control intervention. 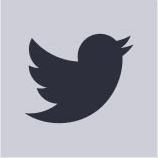 This means the moment a wheel lifts off the ground it stops spinning and drive is diverted to the wheel with grip. The Subaru XV gets a five-star ANCAP rating with all variants beyond the entry-level 2.0i receiving Subaru’s EyeSight system which includes autonomous emergency braking, and lane keep assist. Meanwhile, the top-spec 2.0i-S adds blind spot monitoring, high beam assist, lane change assist which will warn if you try and move into a lane with a car approaching from behind, rear cross traffic alert and reverse automatic braking. A reversing camera is standard across the range. How much more can Smartleasing save you on the car you love?